"There is zero doubt he is our crown jewel." 76ers coach Brett Brown said. 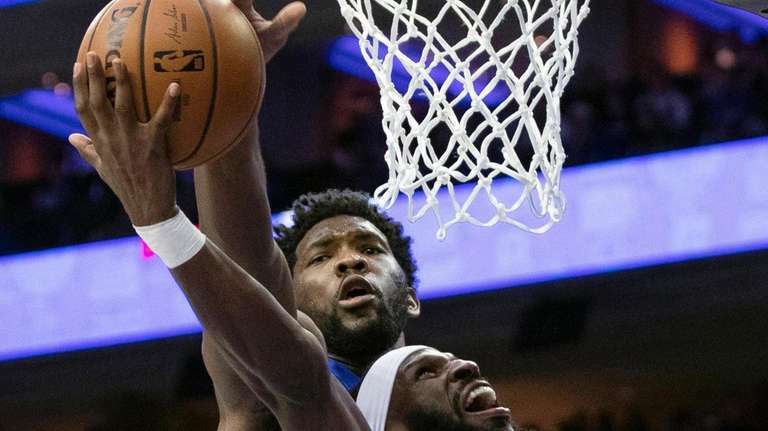 PHILADELPHIA — After losing Game 1 to the Nets, 76ers coach Brett Brown said before Game 2 Monday night that the minutes restriction on center Joel Embiid because of pain in his left knee might have a profound impact on the first-round playoff series. In fact, he traced the 76ers’ lack of offensive cohesion in Game 1 to the fact that he played only 24 minutes. Embiid had 22 points, 15 rebounds and five blocks in Game 1, but he couldn’t dominate as much as usual because of limited time. He had 23 points and 10 rebounds in 21 minutes in the 76ers’ 145-123 victory in Game 2. By now, Brown said, he is numb to pregame worry about whether his star will be available because there is a game plan either way. He said the 76ers simply are trying to “buy time” for Embiid to get healthy enough to go deeper in the playoffs.